Supoj Saplom testified for three hours before the National Anti-Corruption Commission (NACC) on 8 March 2012 and will be called back to testify again on 26 March 2012. According to a 9 March 2012 article in the Bangkok Post, NACC Commissioner "Preecha Lertkamolmart said Mr Supoj had yet to clarify the sources of his "extra earnings" which he has accumulated over the years. " The Bangkok Post quotes Supoj Saplom as testifying that he earned the millions of Baht working a second job: " "I had secondary job. I was hired to do construction design. I did it for tens of years"
NACC spokesman Klanarong Chanthik said yesterday the freeze is in line with standard procedures while the probe is being conducted. "He is being investigated for being unusually rich but he has transferred some assets," he said. Mr Klanarong said Mr Supoj has until March 8 to clarify the allegations that his assets were ill-gained. Mr Supoj, meanwhile, shrugged off this latest setback, saying he would explain the transfers to the NACC. He said the transfers were straightforward. He inherited land from his parents in 1971 and obtained loans to build a house. For more information on Thai laws regarding the accumulation of ‘unusual wealth’ click here. Previously, the 21 February 2012 edition the Bangkok Post reported that the PM Inquiry Office has "decided to discontinue its investigation, citing a lack of information." 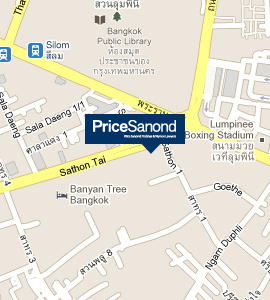 The National News Bureau of Thailand earlier reported on 1 February 2012 that the AMLO has revealed that money found in the transport permanent secretary Supoj Saplom's home is related to construction contractors in the Northeast – including one from Buriram province – which were involved in the bidding for construction contracts on government projects in several provinces. Supoj's home was burgled on 12 November 2011 as the Saplom family attended the wedding of his eldest daughter, during which an unknown amount of cash was stolen from his house. Supoj told police 5 million baht was missing, but when two suspects were arrested three days later, they told police they saw bags of cash amounting to between 700 million baht and 1 billion baht in the house. When seven more alleged members of the robbery gang were arrested later, police recovered more than 18 million baht. For more background on this matter, go to the archive section of the Anti-Corruption part of the Knowledge section of our website here.